Looking for the latest in skate news and skateboard trends? DC Shoes is the only source you need for everything skateboarding. From updates on athletes and skate lifestyle, to news about new product trends and innovations, DC Shoes features all of the skateboard news and information you’re looking for in one place. Skateboarding is at our core, and we never let anything distract us from the fact that our brand is looked up to as a leader in the sport. We hold that position proudly and take our responsibility to provide you with the latest news, skate trends, and products very seriously. 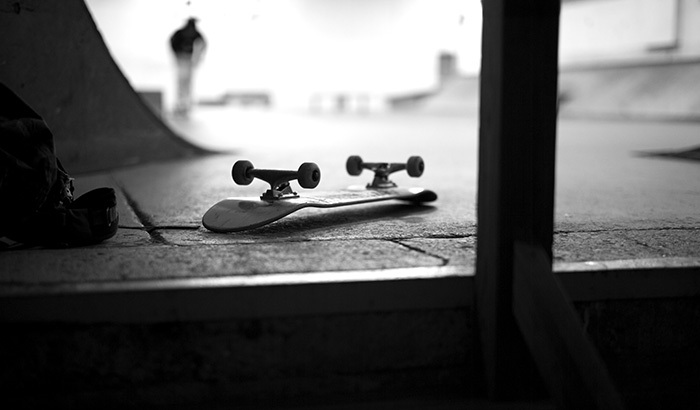 We want you to progress in your skateboard skills, and we know that one way to ensure progression is to stay knowledgeable about what’s going on in the sport and to challenge yourself to step outside your comfort zone to get to the next level. DC Shoes is all about leading the charge whether it’s in product innovation, lifestyle, or skate culture, and we will be there every step of the way to keep you properly outfitted, informed, and motivated. When it comes to skateboarders, DC Shoes’ athletes are the real deal. Our roster of riders is made up of guys who have skateboarding running through their veins. Skateboarding is not just a sport or an activity to them, it’s a way of life and an outlet of expression, and to some it’s even an art form. Our skateboarders are constantly redefining what it means to be the best, and their continuous innovation of skateboard tricks and skate styles is what keeps the sport alive. Our riders are the source of our motivation and what drives us to create skate gear and apparel that keeps them properly outfitted to keep raising the bars they set. To learn more about our athletes and the stories of how they got to where they are today, check out the skateboard athlete bios on our team page. 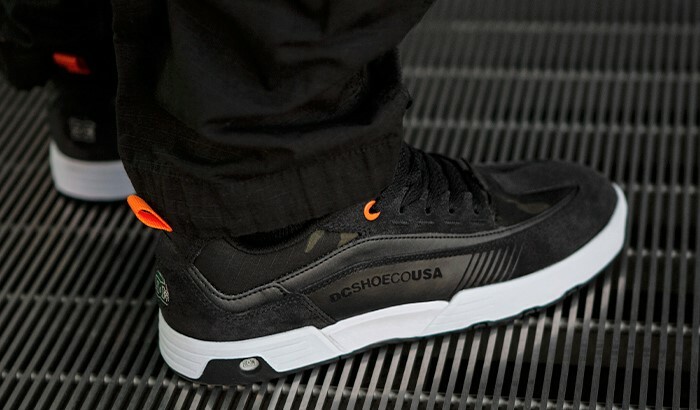 It’s no secret that DC Shoes designs top of the line skate shoes. We built our brand from the ground up on the notion that we could create skateboard shoes better than anyone else, and we were right. Our long history of success as a brand is a testament to the quality and durability of our products. Over the years, we’ve been able to expand the brand’s offerings to include high quality skate apparel and skateboard accessories that keep riders like you clothed in gear that can keep up with the beating that skateboarding doles out. Being able to offer a full collection of quality skateboard equipment and skate gear is something that we are proud of, and we’re constantly working to improve upon each season in order to keep things fresh and stay ahead of the latest trends. If you’re not dressed in DC Shoes, you’re settling, and we don’t believe in settling. Looking for a way to meet great riders and interact with the brand? Hit up one of our epic skate events the next time we’re at a location by you. You never know where the DC Shoes crew is going to be next, we like to keep things interesting by thinking outside the box when it comes to planning our skate events. Whether it’s one of our official skate contests, or just a meet up at a local skatepark, we’ve got something that skateboarders of all ages and skill levels can enjoy. There’s nothing better than being able to get a group of skateboarders together and watch everyone feed off each other’s energy. Our skate events are all about embracing the sport and coming together to share in the common passion we have as riders. Check out the list of our upcoming events on our website and make sure we see you the next time we’re in your area.